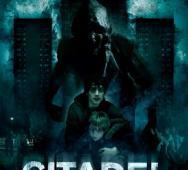 Ciaran Foy‘s upcoming psychological thriller Citadel tackles the idea of feral children. The trailer looks great great and very intense. Take a look at the trailer and tell me what you think. Michael Biehn‘s The Victim will be hitting DVD and Blu-ray release this September 18, 2012 from Anchor Bay Films. The final trailer is below along with the Poster. Looks promising so far but I will leave it up to you to decide and comment on what you think of this one. The word “remake” is a scary word lately but let’s keep a positive mind here. 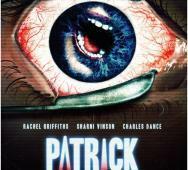 Mark Hartley‘s “Patrick” is a remake of Richard Franklin’s 1978 Australian film. The horror film is scheduled for an October 2013 release so we have a lot of time for this movie to grow into something worth while. 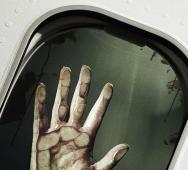 Sharni Vinson takes the lead as the nurse who takes care of the horror known as Patrick. 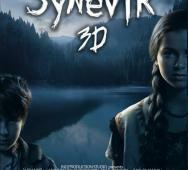 The Ukranians are entering the 3D horror movie realm with their werewolf film Synevir 3D. The werewolf certainly looks gruesome and nasty looking. The trailer is English subbed and the poster gives that Children of the Corn mixed with an ancient native American omen feel. Enter the Carpathian Mountains where many unexplained things have been happening for the last few hundreds of years. Take a look at the trailer and see the scary werewolf at the end. Simone Gandolfo‘s upcoming horror film Evil Things is about a blog that an evil torturer creates in order to reward teenagers who posts the most evil things they do. The mysterious prize will be given to the teenager who does the most evil thing. The synopsis is longer then most synopsis’s that you will ever read and may contain potential spoilers. 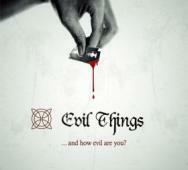 The trailer for Evil Things looks sinister and gory. I for one like the trailer but some may not. Evil Things stars Marta Gastini, Pietro Ragusa, Aaron Omossie, Nicola Sorrenti and Jennifer Mischiati. Issei Shibata‘s Alter Ego trailer is a little dull but plays on the premise of having a deeper story. The poster is great and shows a girl looking into the mirror and upon seeing herself, she starts to break down on a molecular level upon seeing her dopple-ganger (evil version of herself). 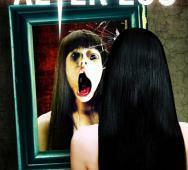 Alter Ego comes from the director of The Grudge and Ju-on and will be released by Eagle One Media. That being said, fans of The Grudge and Ju-on should see this Asian horror movie. The trailer is a little too boring to build up my excitement at this point but maybe the full length movie will be great. Joe Raffa‘s upcoming Six Degrees of Hell will be released to DVD this upcoming October 30, 2012 courtesy of Breaking Glass Pictures. I personally have been waiting to see this movie. I like the poster as it shows the many levels of hell that Raffa’s trying to showcase. Hope this movie is as scary as it is supposed to be. Six Degrees of Hell stars Joe Raffa, Corey Feldman, Nicole Cinaglia and David Bonner. 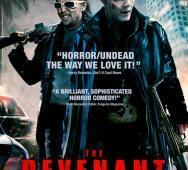 The Revenant will be released in theaters and on VOD this August 24, 2012. Lastly coming to DVD this upcoming September 18, 2012. 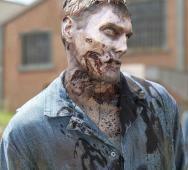 Kerry Prior‘s zombie movie will star David Anders, Chris Wylde, Jacy King and Louise Griffiths. This horror movie I am a little skeptical about and feel like it will be a hit or a huge miss. Let’s see what actually happens and hopefully The Revenant is a miss. David Anders is better known for being on The Vampire Diaries and many more TV shows but he actually was in a great horror film named Left in Darkness. Halloween is coming soon with October nearing ever closer. 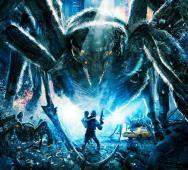 This time tends to be the best for horror movies. 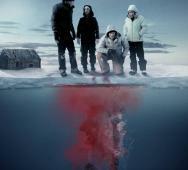 On October 2, 2012; Dark Sky Films will release Hypothermia which looks like it will show some promise. The imagery in the poster looks scary indeed with the vicious creature lurking below the thin ice waiting to pounce on it’s unsuspecting human prey. I will be looking forward to seeing this horror film soon. Robert J. Massetti and Jason Daly‘s upcoming creature film Creepy Crawly looks really creepy. Leaves a lot to the imagination but I really want to see this creature now. Cast in Creepy Crawly is Cyndi Crotts, Scott Tepperman and Shawn Copenhaver. 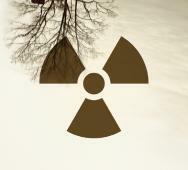 Peter Engert‘s Remnants, is the upcoming WWIII horror film. 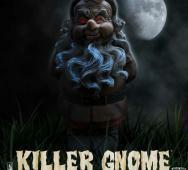 It has been scheduled for it’s world premiere during the 2012 Film4 FrightFest in London, England on August 25, 2012. Remnants stars C.J. Thomason (Harper’s Island, Husk), Monica Keena (Freddy vs. Jason), Edward Furlong (American History X, Terminator 2), Andre Royo (The Wire), Christine Kelly and Jessie Rusu (Mother’s Day). I can’t wait to see the horror anthology V/H/S. The film is coming out later this month; VOD August 31, 2012 and in theaters October 5, 2012; and the trailer was amazingly scary. I am however a little disappointed that the new photos are taken from scenes in the trailer, so nothing new here. Dredd 3D - New Poster "Judgement is Coming"
Now this Judge Dredd 3D poster has the proper feel from the comics. I really feel like this Judge Dredd movie will hit it home with the action. Karl Urban looks awesome in the trailer and plays the role well especially with the classic grim look that we have expected to see from Judge Dredd. 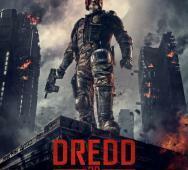 Judge Dredd stars Karl Urban, Olivia Thirlby, Lena Headey, Francis Chouler and Deobia Oparei. Expect this movie to hit theaters this September 21, 2012. Alice looks ready to definitely take down The Umbrella Corporation in Resident Evil: Retribution 3D. I am a huge fan of the Resident Evil movies although not as intense as the games and good in their own right. Milla Jovovich is getting a little older but still shows that she can act the part. This installment will hit theaters this September 2012. Barry Levinson‘s The Bay may not have seen new press in a while but they have released some new photos to let us know that the horror film is still out there. The photos for The Bay are from this years Toronto Internal Film Festival. Lionsgate will he handling the distribution in the U.S. most likely and Alliance Films will handle the Canada distribution.